Merry Christmas to all of you! 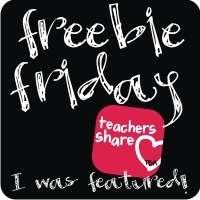 It's Manic Monday over at Classroom Freebies and Freebie Friday time at Teaching Blog Addict so I am linking my Winter Frames and Arrows practice pages. Enjoy ! Click on the pic below to snag it!